Home Opinion Are WISPs the Answer for Rural IoT? 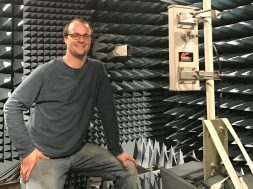 The competition to connect wireless-enabled sensors (i.e., IoT devices) is hot, as Bluetooth®, ZigBee, Z-Wave, and other solutions battle for supremacy in local communication and the cellular industry, Low-Power Wireless Area Network (LPWAN) providers, and even Wi-Fi contend to provide IoT sensors with access to the Internet. As always, the driver is money and billions of dollars in fees are at stake for the “winners.” However, mainly lost in the noise is another potential winner—fixed broadband service companies, typically called Wireless Internet Service Providers, or WISPs. If you get your broadband and entertainment delivered by cable or fiber, you’ve probably never heard of WISPs, but there are thousands in the U.S. alone, mostly serving rural areas that telcos and cable MSOs ignore. Without them, millions of people would be left with dial-up, satellite, or nothing. 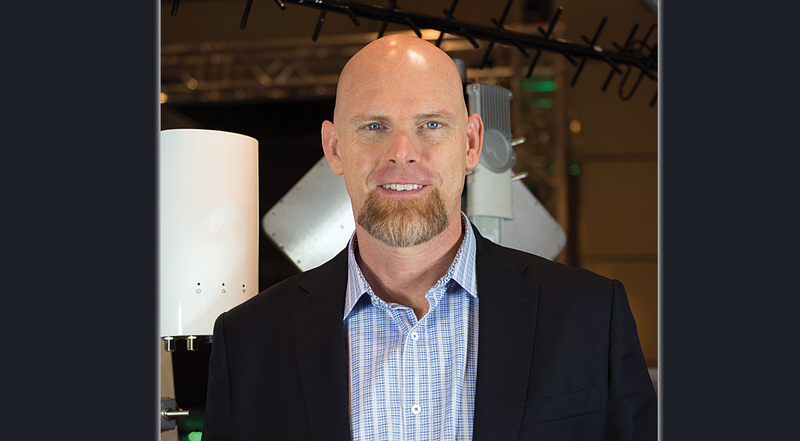 WISPs deliver broadband by beaming signals from towers to residences equipped with high-gain antennas, typically on unlicensed frequencies at various data rates, sometimes approaching those of the major providers. There are around 2,000 WISPs in America, some very small and serving only a few hundred customers to some serving several hundred thousand, and the industry has become much more sophisticated in the last few years. For example, a typical WISP base station radio the size of a book can integrate Wi-Fi and TDMA, is easily scalable, dynamically optimizes frequency reuse, and can deliver data rates of about 1.7 Gb/s to the user. Many use Multi-User MIMO and perform network processing functions as well. WISPs transmit from a single point to multiple locations (the customers), using advanced Wi-Fi, proprietary protocols, and most recently LTE, sans its mobility functions. Base stations communicate with each other using point-to-point microwave radios, and each “hop” adds another potential service area. To service IoT, they merely need to accommodate the needs of IoT, which by design operates at very low data rates and low power to conserve the tiny batteries used by most IoT devices. In short, WISPs are a ready-made answer to ensuring IoT gains a foothold in underserved places with small and widely-dispersed populations. This fact hasn’t been lost on many WISPs, which have been providing SCADA-type services for years. However, thanks to the looming presence of IoT, the opportunity is far greater now as they can address more types of customers, presenting an additional potential revenue stream. Farms and ranches, of which there are more than 2 million in America, are a terrific example. Although most farms cover several hundred acres, the largest are thousands of acres and represents nearly a quarter of all farmland. Ranches can be enormous: King Ranch in Texas is 1,289 mi.2 and covers parts of six counties. They’re also technologically sophisticated operations, and even smaller farms and ranches require expertise in biotechnology, automation, data analysis, meteorology, ecology, mechanization, and GPS-assisted driverless farm machines. Other likely target customers for WISPs are manufacturing facilities, enhanced SCADA service for utilities and oil pipeline companies, mining, healthcare, and even “connected” communities. The business case is compelling as WISPs already have the required infrastructure, save for relatively minor modifications, to become “IoT ready.” Wireless carriers and LPWANs aren’t likely competitors in most cases as they target urban and suburban areas that are the most profitable. They may also be priced beyond what farms and small businesses can (or would be willing to) spend. The wireless industry is still far from settling on charges for connecting IoT-centric services using LTE-based Narrowband IoT (NB-IoT), but initial estimates are about $2 per month per IoT device. Considering how many IoT devices can potentially be in service on a 2,000-acre farm, that’s potentially hundreds to thousands of dollars a month. Some LPWAN providers are charging much less than wireless carriers, as low as 50 cents per device, but unlike them, they must deploy their networks from the ground up, so they’re very selective about the areas they serve. KP Performance Antennas has manufactured antennas and other components for WISPs for many years, so our vantage point gives us an interesting perspective on where the industry is headed. Based on recent conversations, it’s headed directly at IoT: Many providers are adding IoT-centric services to their portfolio and radio manufacturers that have long delivered SCADA products are now including “IoT” in their marketing as well. So, it seems that while the WISP industry will continue to remain mostly under the radar, there’s now one more reason it will remain essential for so many people.